China, Iran, Pakistan, Saudi Arabia, and the United States lead the world in executions in a very bloody 2015. Australia will recall its ambassador in Jakarta for consultations, Prime Minister Tony Abbott said Wednesday, after two Australian nationals were executed in Indonesia. A European-led boycott of the cocktail of drugs used in lethal injections in the United States has states with death row inmates looking at alternatives to the those drugs. Salt Lake City Mayor Rocky Anderson commented on the bill on death penalty, recently passed in the US state of Utah, saying that it is 'embarrassing' the country returns to this barbaric means of the state killing people. 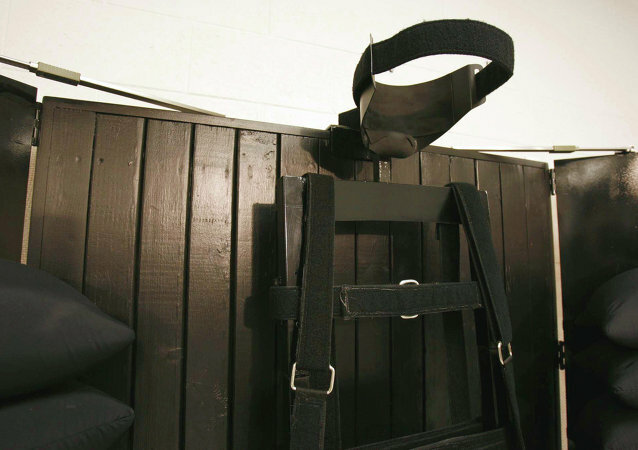 The US state of Utah's introduction of firing squad executions as a backup for lethal injections only complicates the death penalty issue in the country, Executive Director of the National Coalition to Abolish the Death Penalty (NCADP) told Sputnik on Tuesday. Salt Lake City Human Rights Commission member Christopher Wharton claims that a law to reinstate firing squad executions in the US state of Utah is a shameful proposal that goes beyond cruel and unusual punishment. Utah Department of Corrections Public Information Officer said that the US state of Utah prisons try to protect the identities of individuals assigned to firing squads that carry out inmate executions. US Senator Orrin Hatch claims that the US state of Utah's decision to bring back executions by firing squads may be more merciful than the controversial use of lethal injections. The Death Penalty Information Center called the bill to return to firing squads as a form of execution in the US state of Utah "political statement". 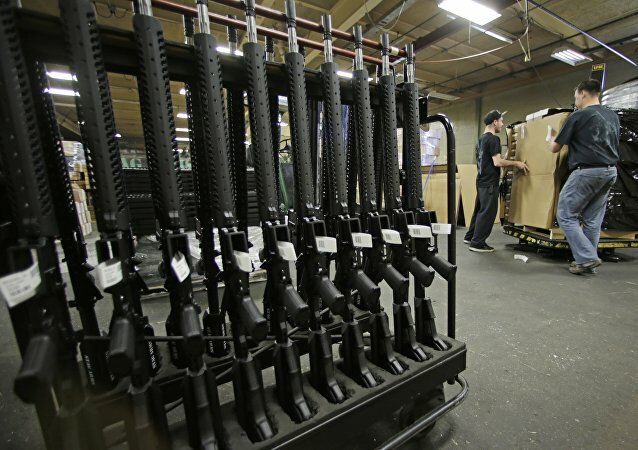 American Civil Liberties Union Public Policy Advocate Anna Brower said that a law passed in the US state of Utah to reinstate firing squads as a form of execution is a step backwards from repealing cruel and unusual punishment. Despite international pressure to end the practice, a number of states in the US continue to carry-out capital punishment. As the European Union cuts off its supply of the drugs used in lethal injections, Wyoming seeks alternative means of execution, bringing antiquated, Old West sensibilities of justice to the firing range.